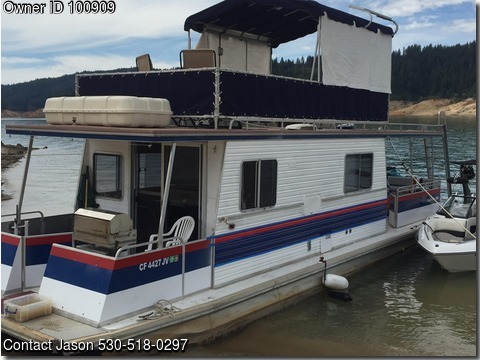 Please call boat owner Jason at 530-518-0297. Boat Location: Dobbins, California. 1989 Patio Cruiser. Newer Engine 75HP .Solar panels. All New Blue Canvas around the top. Vinyl top in great shape. Lots of extras... very clean and well kept. Mechanically sound. 2014 survey available. Magna Barbecue. 2 full size beds, bath, shower.